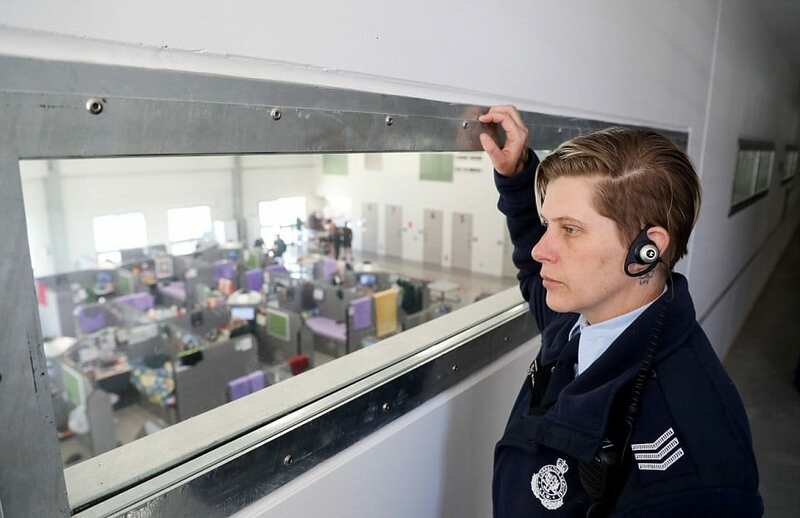 Australia’s new maximum-security prison opened on January 30th this year and features no cells and inmates can make late-night phone calls, along with having their own personal touch-screen televisions in their cubicles. 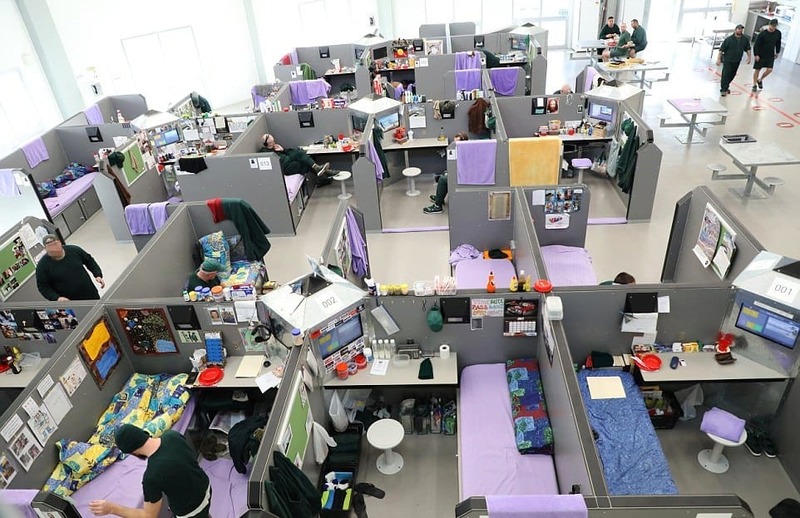 The Hunter Correctional Center (HCC) is a rapid-build prison that took twelve months to complete, and is located 160 kilometers north of Sydney. The prison houses 400 male inmates and are under some of the most intense surveillance in the entire country, with 600 cameras watching their every move. The prison is comprised of four wings with each housing four dormitories. 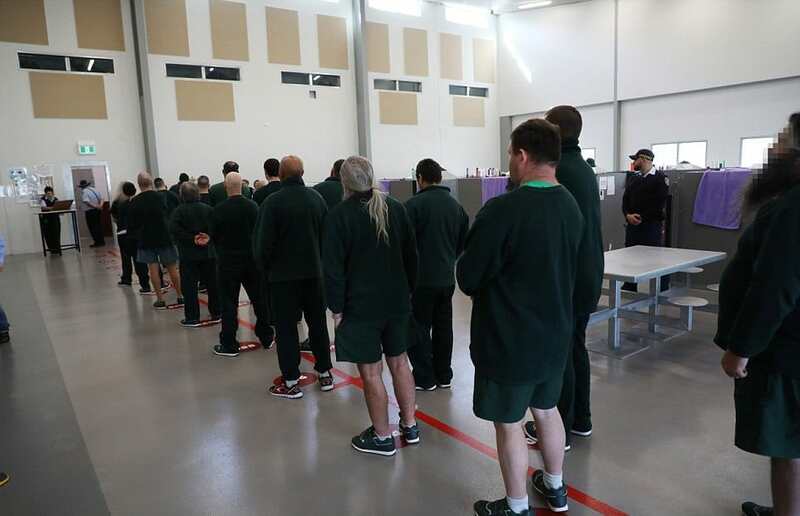 The prison has 220 staff members, and within the first six months of the prison being operational there have been no assaults on staff, no deaths in custody, no escape attempts, and only one-self harm incident. Assaults on other inmates are also far below the national average – 4.33 per 100 inmates as apposed to 16.88 per 100 in other maximum security prisons. Inmates are required to work five hours each day, earning a weekly pay check of $65, and have an allotted activity time of three hours. Activities inmates can participate in include access to the prison’s oval, library, track and a multi-faith chapel. 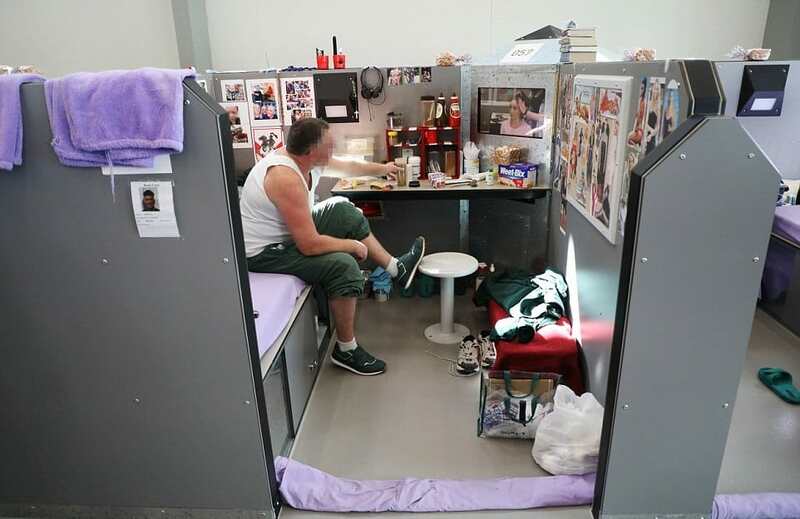 Accommodation for inmates consists of a personal cubicle which includes a desk, bed, stool, and a 23-inch television. Inmates are free to decorate their cubicles with what they please – some inmates have decorated their cubicles with photos barely-clothed celebrities, or photographs of their family. 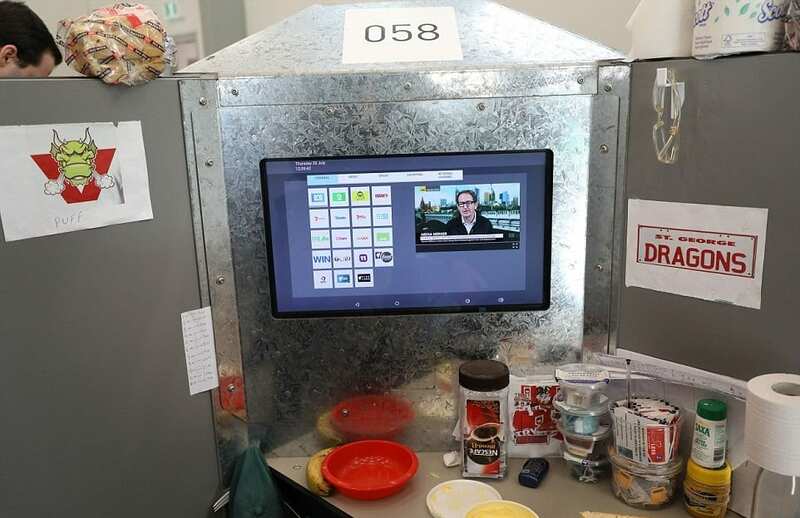 The touch-screen televisions have all free-to-air channels, as well as movies, radio access, and a place where inmates can see their prison accounts and balances. Telephones can be used to make 10-minute phone calls between 6 am and 9 pm, which inmates can pay for from the funds they earn from working. 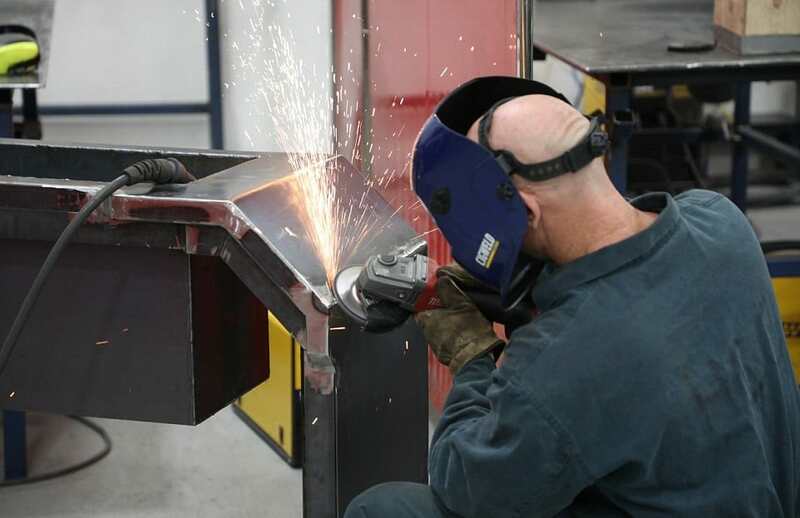 There are kitchen facilities that include microwaves, fridges, toasters, sandwich press, and hot water facilities. There are also eight bathroom cubicles per dormitory which each house a toilet, a sink, and a shower. There are more than 600 high-tech security cameras both inside and outside the prison, offering staff high-quality footage of every section of the prison. The cameras are so powerful they can read text on a book or piece of paper than an inmate is holding in his cubicle. “As far as jail goes for a maximum security inmate this is as good as I’ve seen it. 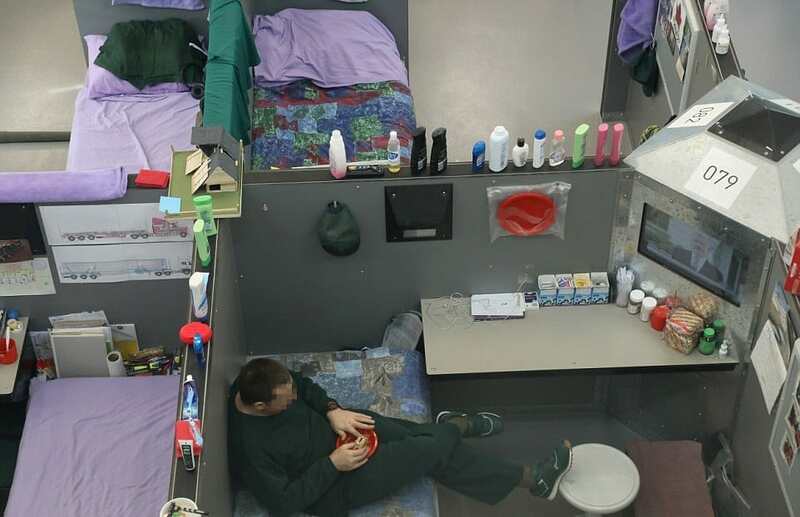 At the [MRRC] you’re chucked out in the yard and doing nothing and then put back in your cell. There you remain until the next morning. We’ve got a lot more freedom here. We don’t get locked in a cell of a night-time. We can work. We can use the phones at 9 o’clock at night. I can speak to my family almost anytime I like. But personally, I do prefer it here. It is a lot more open. There is more freedom. I like the freedom of being able to get up and walk around when I like. Also having a private bathroom and shower is a big improvement as well.